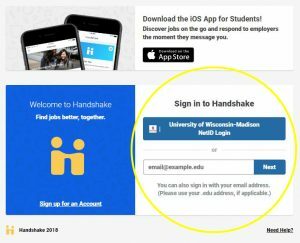 Handshake makes it easy for every UW-Madison student to explore career events, connect to jobs and internships, and use online resources to explore careers. Employers, alumni, and students won’t be able to see anything until you choose to unhide it. See the Help Resources below, or contact your school or college career center or the Career Exploration Center. Activate your account by clicking the blue button or entering your wisc.edu email address. Complete your profile and start exploring!